Chocolate seems to be left behind at Thanksgiving time. Don’t get me wrong, I’m all about eating pies. I love pies, but I thought I’d bake a chocolate dessert to make sure that we don’t forget about our beloved. 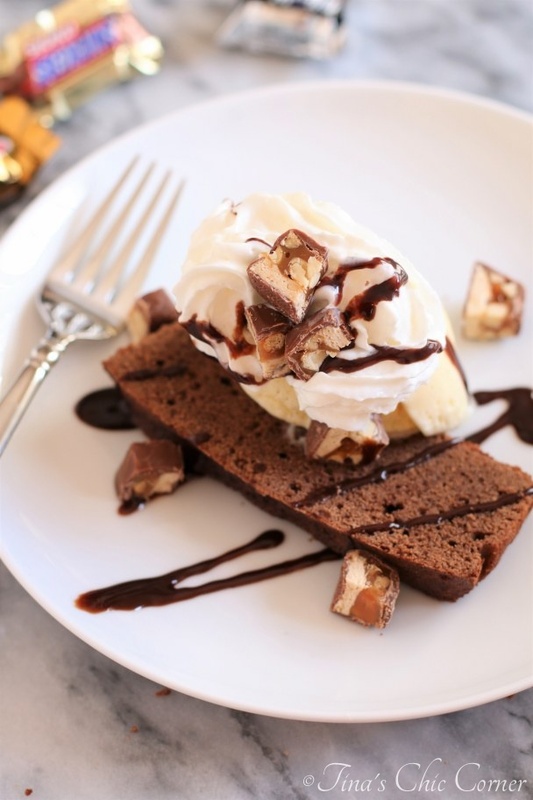 😉 How does chocolate pound cake sound to you? 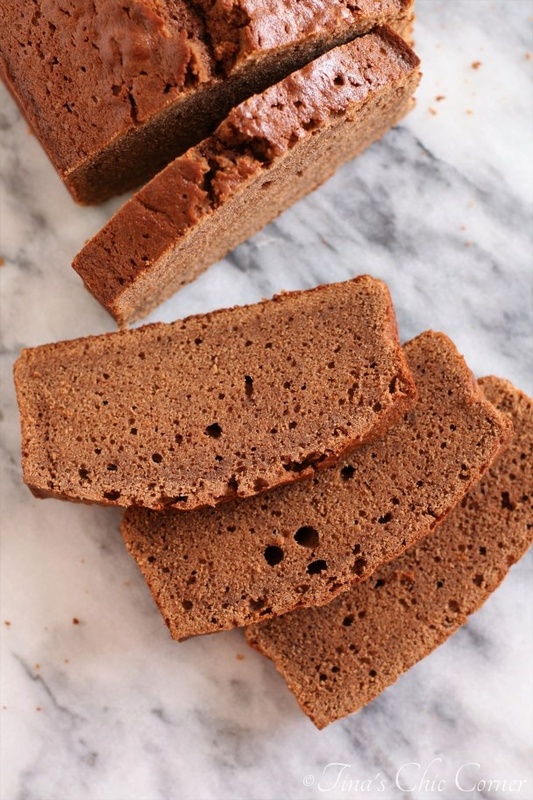 Picture a pound cake with a chocolate twist or a chocolate cake that’s more dense. Either way you look at it, you’ve got something seriously delicious going on. The thing that I love about pounds cakes (besides the fact that they are tasty) is that you can serve it in a bazillion different ways. If you’re short on time, serve as you see here, all by its lonesome self. It’s that tasty that you don’t need anything else. 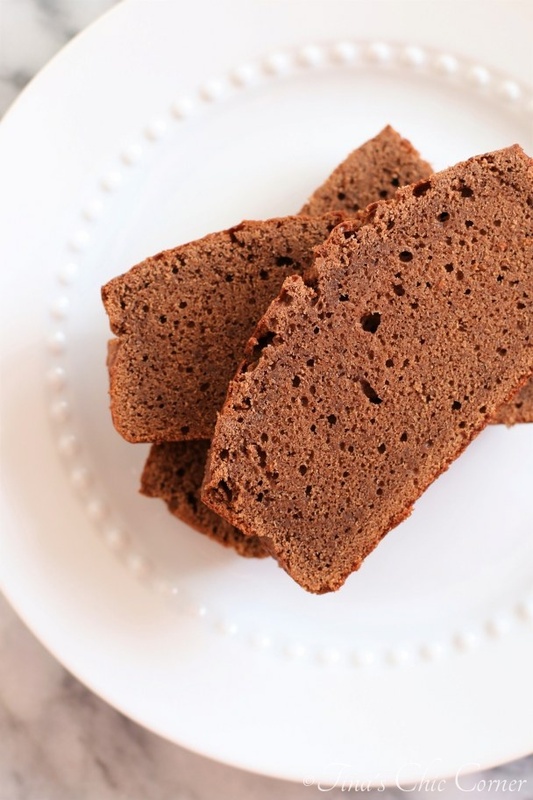 If you’re a chocoholic like me, then top it with a chocolate ganache like I used on my chocolate chip pound cake. 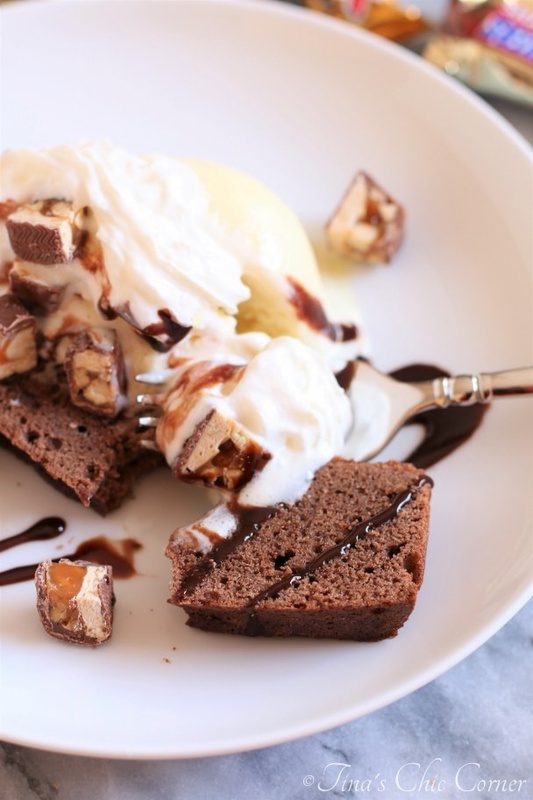 A double chocolate dessert will surely win over your chocolate lovers. If you’re feeling adventurous, it’s the perfect platform for ice cream, whipped cream, and assorted toppings. Set up a sundae dessert bar for your guests where they create their own concoction and they’ll have a blast. I chopped up some leftover Halloween candy to top this pretty deal. If by some chance you end up with leftovers, you can buy a bunch of pudding and whipped cream and make a trifle. Simply dice up the cake and layer it into a big bowl with the other things. Even leftovers can be amazing with this little treasure. 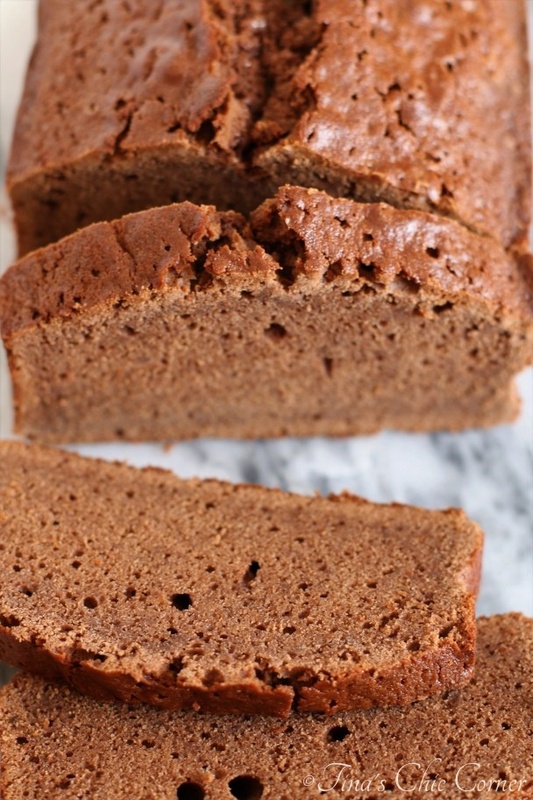 How would you enjoy a slice of this chocolate pound cake? Preheat the oven to 350 degrees F. Line a 9 x 5 loaf pan with parchment paper and lightly spray it with non stick cooking spray and set it aside. In a small bowl, mix together the cocoa powder and boiling water until the cocoa powder has dissolved and the mixture is smooth. Let it cool to room temperature. In a separate medium bowl, whisk together the cake flour, baking powder, and salt. These are the dry ingredients. Set it aside. In a large bowl, beat the butter until it’s smooth. Add in the eggs, one at a time, and beat the mixture between each egg. Add in half of the dry ingredients and beat the mixture. Add in the milk and beat the mixture. Add in the remaining half of the dry ingredients and beat the mixture just until combined. Scoop the batter into the prepared pan and spread it evenly. Let the cake cool in the pan for about 15 minutes. Then remove the cake from the pan and let it cool completely on a wire rack. I’ve never seen a chocolate pound cake. I can’t wait to try this !!! !